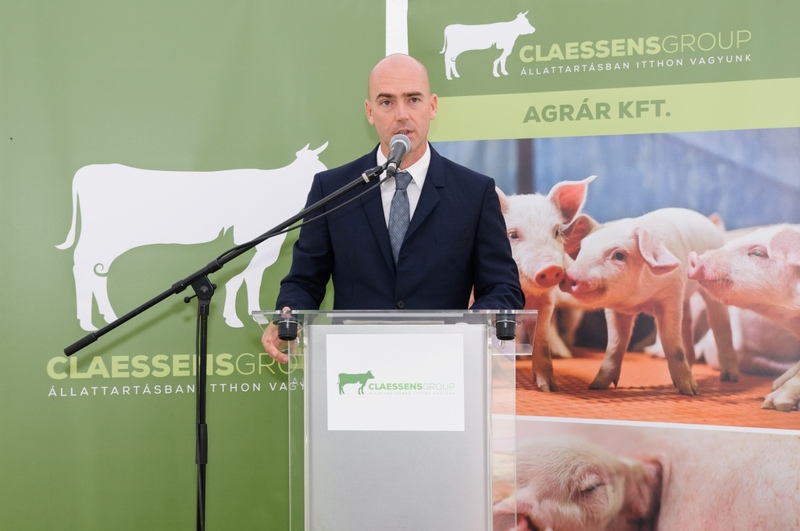 Both the enlargement of the pig farm and the investments associated have come to an end on the Kisbaráti site of Agrár Ltd., the company within Claessens Group specialized in pig production. 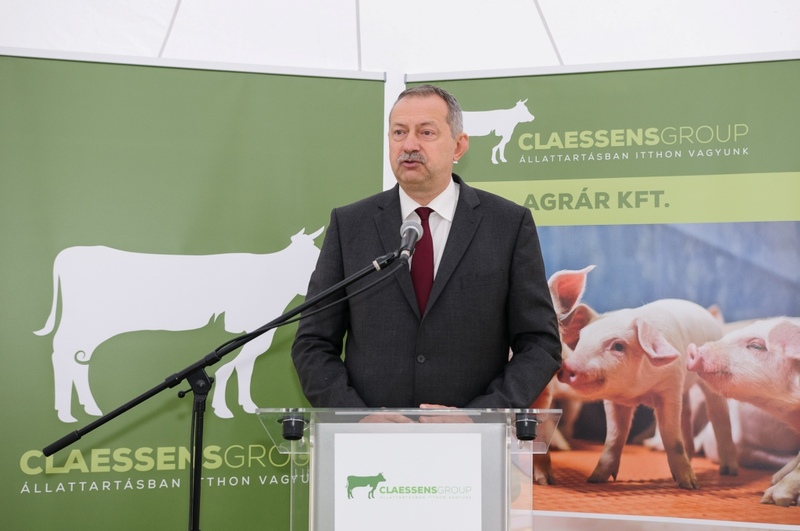 The presentation ceremony was completed with a press conference and took place on 3 October in the presence of Róbert Zsigó, Minister of State for Food Chain Supervision and László Szászfalvi, Member of Parliament. 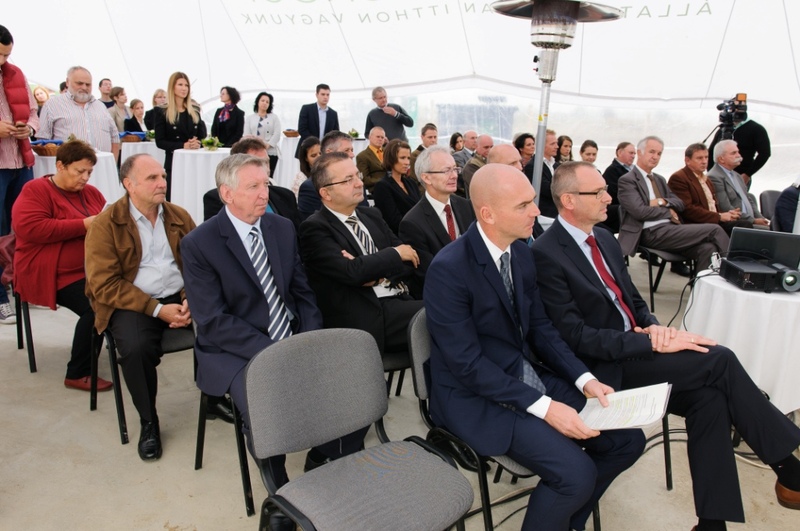 The project started in 2012 making use of European Union funds, and it cost a total of HUF 2.3 billion to the company. 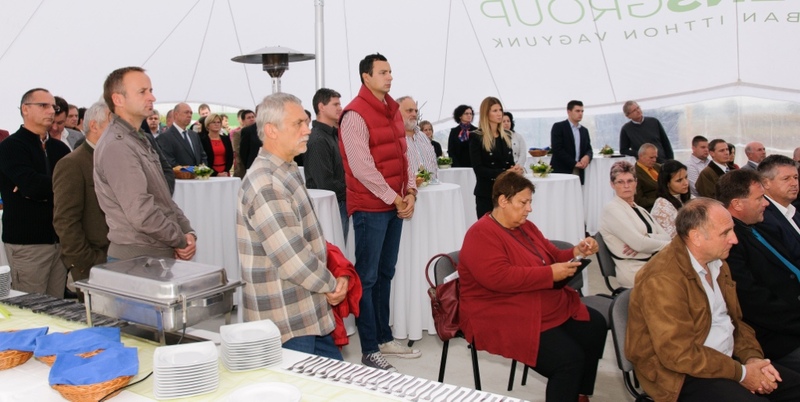 Thanks to its completion, the Kisbaráti farm capacity has grown from 2000 to 5000, the breeding stock got enlarged, and there is new equipment waiting to help the operation. 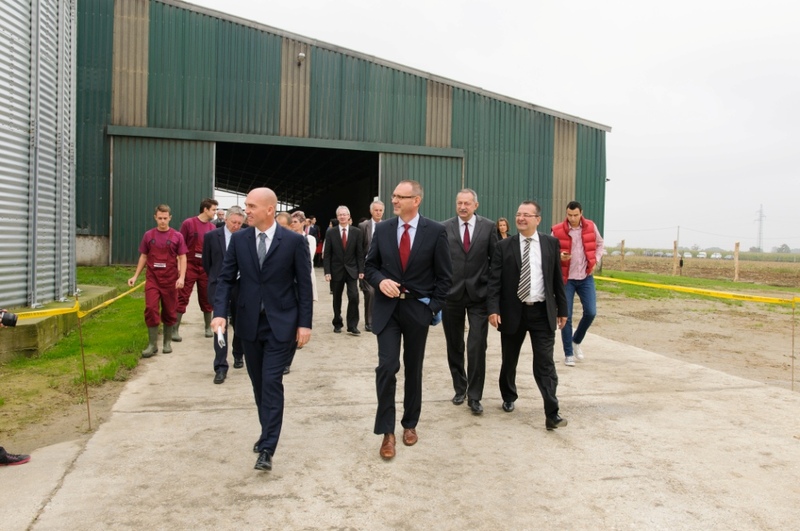 Since the sow colony has grown to 5000 in Kisbaráti, Agrár Ltd. is in possession of 6000 sows living on its two premises. 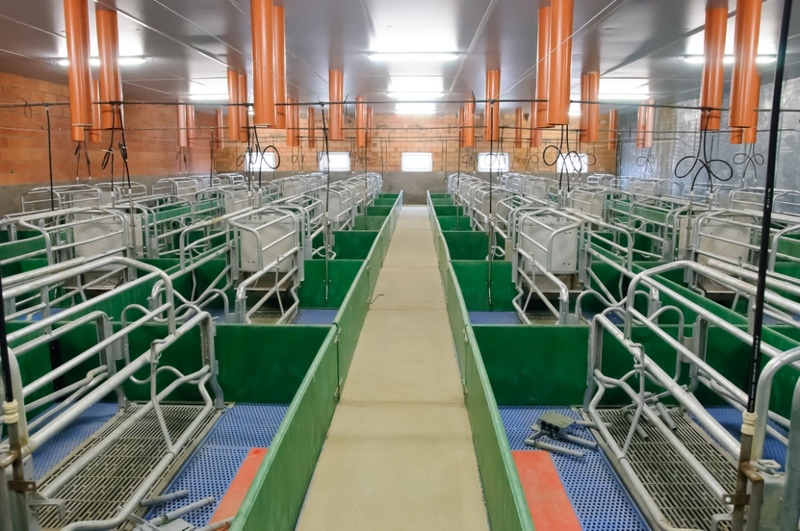 The expansion of the herds does not happen by purchasing, but with own production, utilizing the world-class genetics of the boar farm finished last year. On an annual average, 180,000 pigs are raised on the farms. 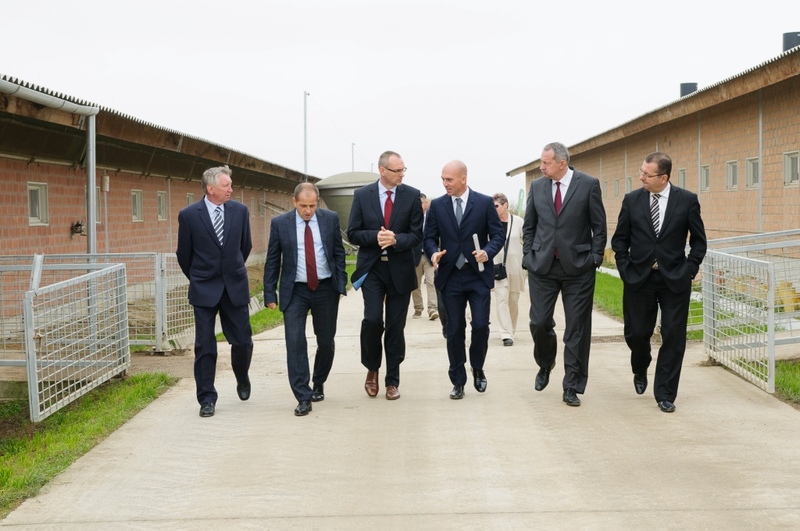 70% of them are sold to Hungarian farmers for further fattening while 10% of the animals are being exported. 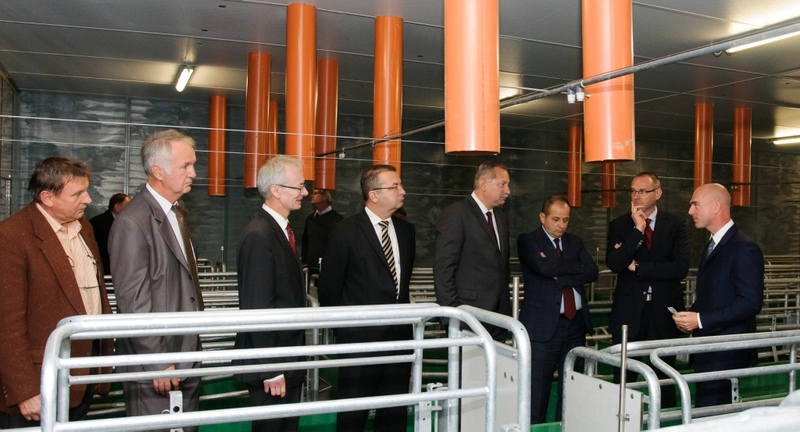 The remaining 20% is kept as breeding sows or handed over as fattening pigs to the South Transdanubian slaughterhouses. 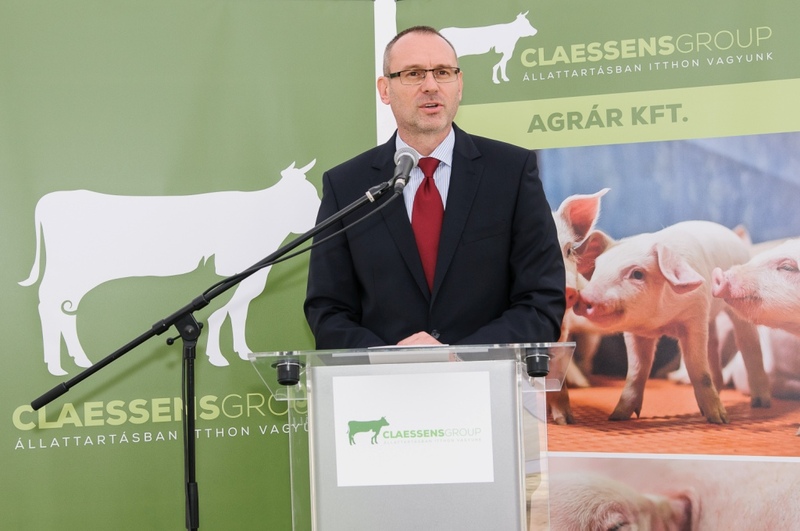 At the event, Peter Claessens, the executive director of Agrár Ltd. said that similarly to past investments, the improvements were carried out relying on the latest environmentally-friendly technologies meeting the strictest energy efficiency and animal welfare standards. 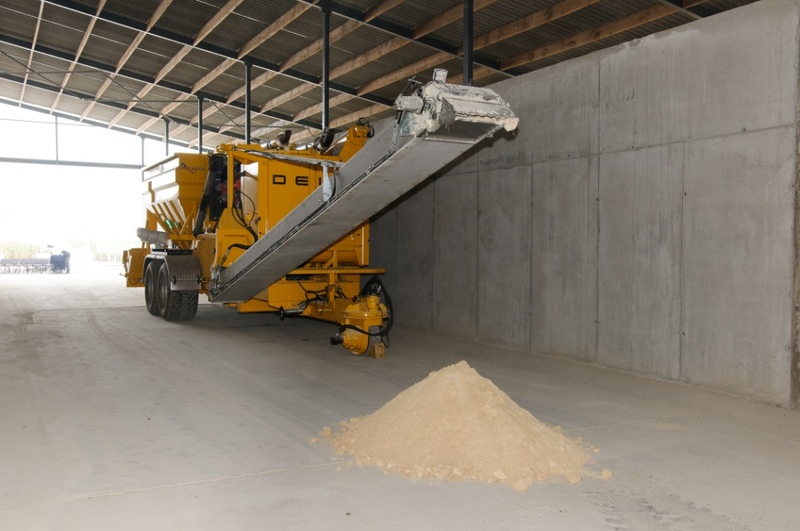 To reach the optimal temperature during the summer and the winter months, the barns use the energy of groundwater heat. 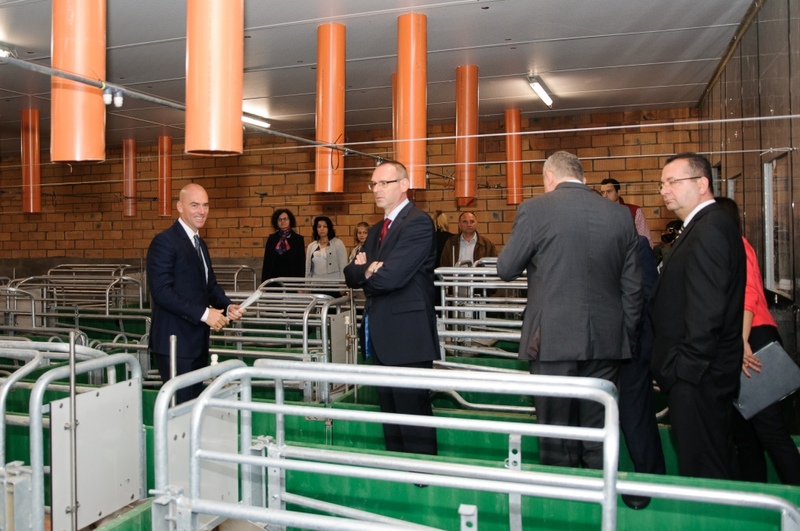 The heat newborn piglets need is provided by underfloor heating in addition to the traditional infrared lamp solutions. The elevator-based resting place for sows is yet another unique technique designed to protect the newborn, still slow pigs. This is a lift with sensors raising the sow in a height of 15 cm in order to give place for the secure and free movement of the pigs. 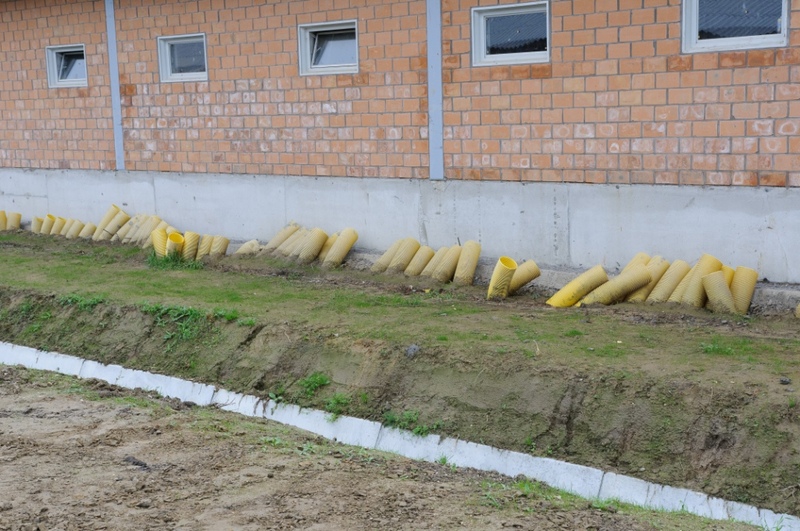 50% of Somogy County’s pig population is living on Agrár Ltd.’s two premises in Nagybaráti and Kisbaráti puszta, increasing the number of pigs both on the county’s and the national level.